Welcome to light up clothing and positive mind inspiring apparel. 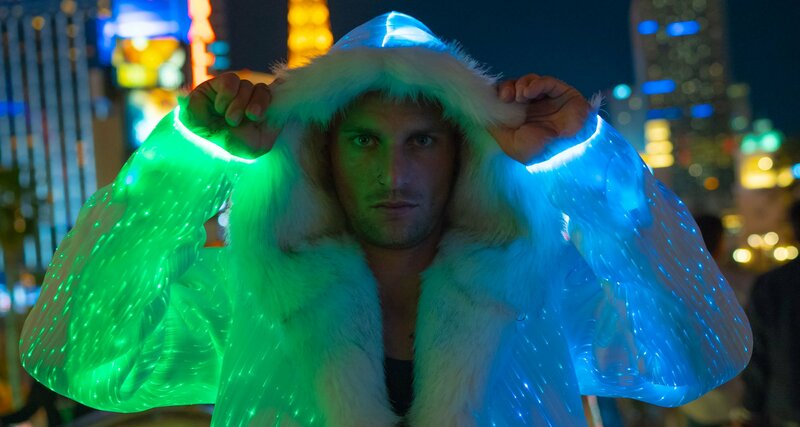 Explore our Light Up Clothing and Style Collection. Hey Guys!!! Did you ever had clothes that comes with a remote control ? 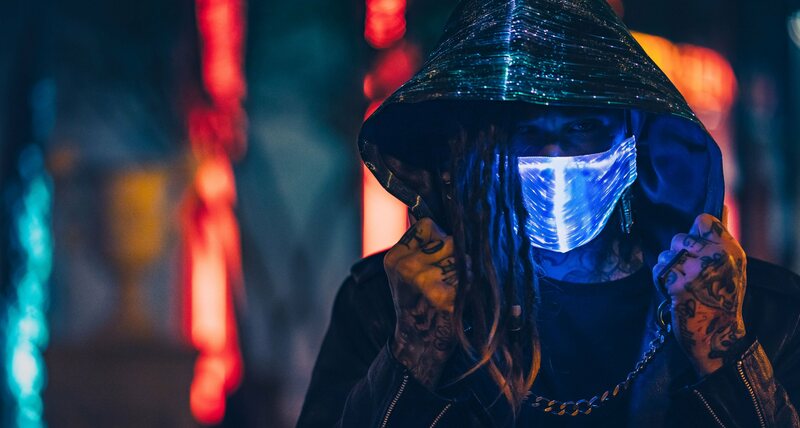 Right, neither did I... Up until I received my glowing hooded sweatshirt, will be awesome thing to wear for this year Ultra music festival and other music raves. Thanks YMYW for making me feel special. OMG, I highly recommend this amazing NEW brand. Just think about it. How many brands do you know that help you live more positive life every day? Not that many. Thank YOUR MIND YOUR WORLD for soothing my body and my soul. 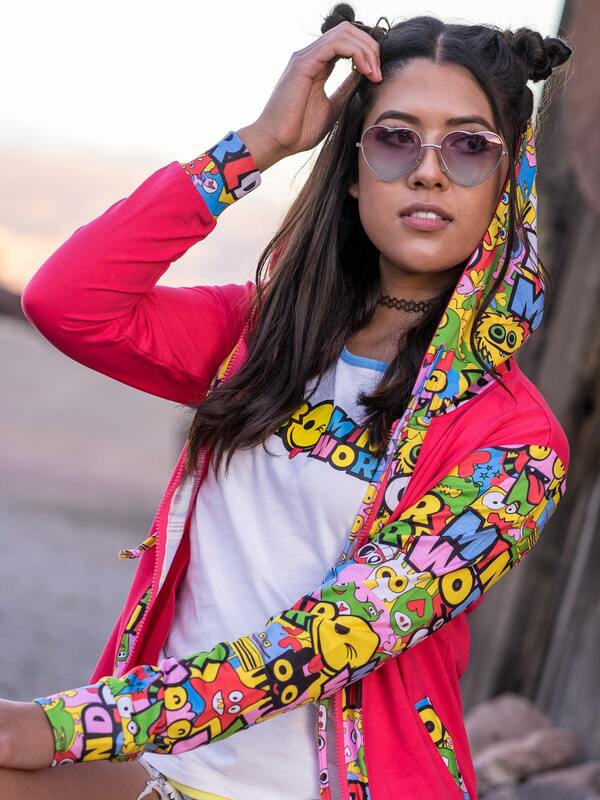 Unique and Original Styles, Excellent Quality, Prompt Service. need i go on? Try it, you will not regret !!! OMG ! 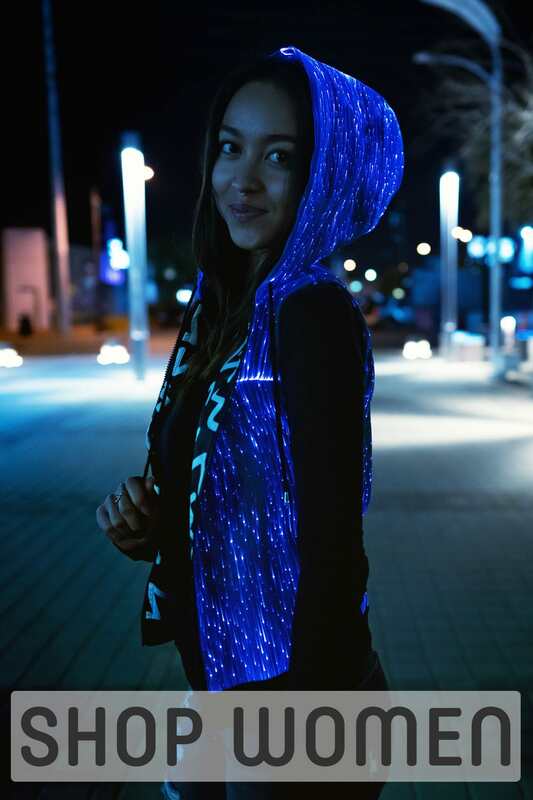 I just received glowing hoodie !!! IT IS PERFECT !!! I never ever seen something so cool like this WOOOW !!! Size fits perfectly and glows AMAZINGLY !!! This is so DOPE stuff. 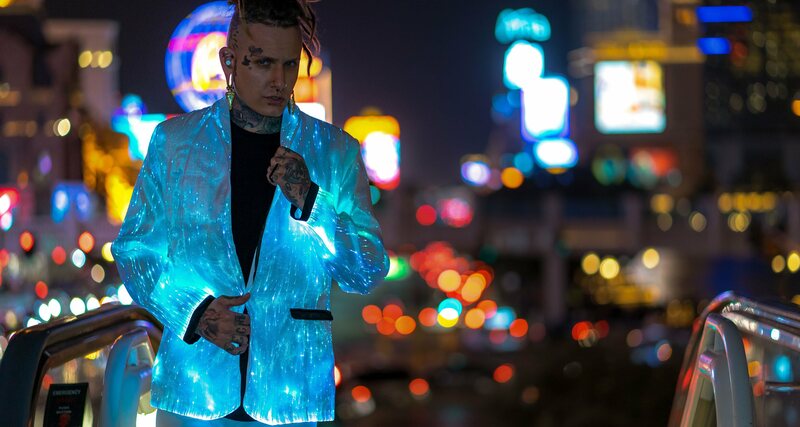 I got my glowing jacket and it is just mind blowing piece. 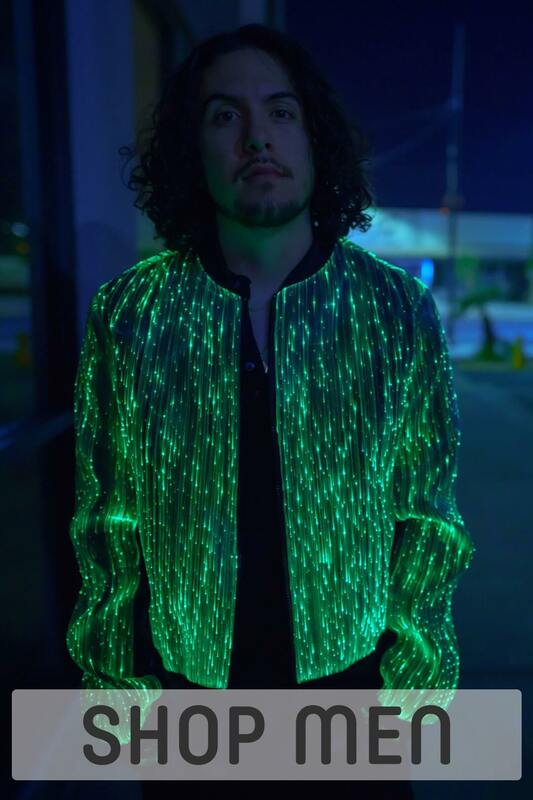 I recommend this super cool fiber optic fashionable glowing clothes to everyone. It lights amazing in many colors, very cool and comfortable. Very happy with your service and your high quality clothes. WTF !!! How did you even come up with this? My friend had your hoodie at the party, everyone was going crazy. I had to come and check you out. You have some sick stuff here 2 Thumbs UP.